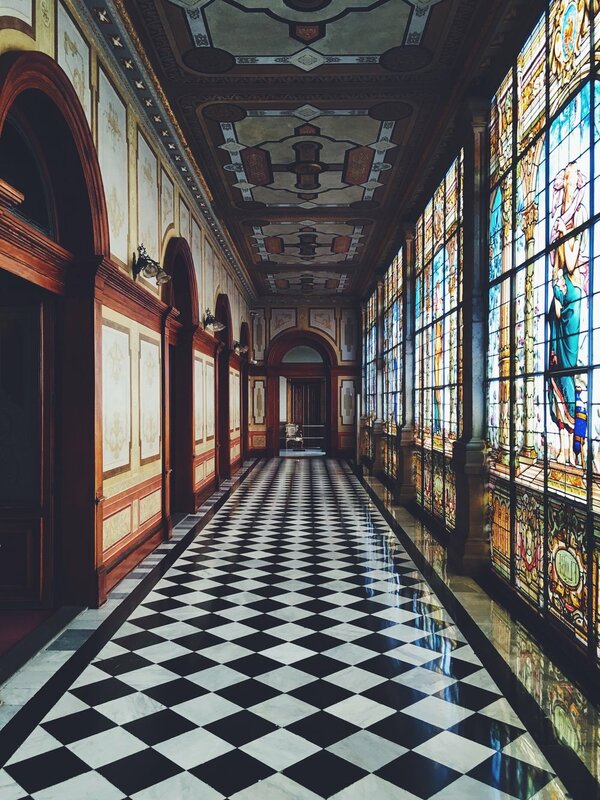 We went to the most beautiful palace, Chapultepec. You guys, will you look at this gorgeous tile?! AND the view! We also went to one of the most magical places I've ever seen, Teotihuacan. It's about 45 min to 1hr outside of the city and is definitely worth the drive. Once there, before going in to see the pyramids, we had a bit of Pulque, "the drink of the Gods"...twas DELISH! Now, behold...the PYRAMIDS! 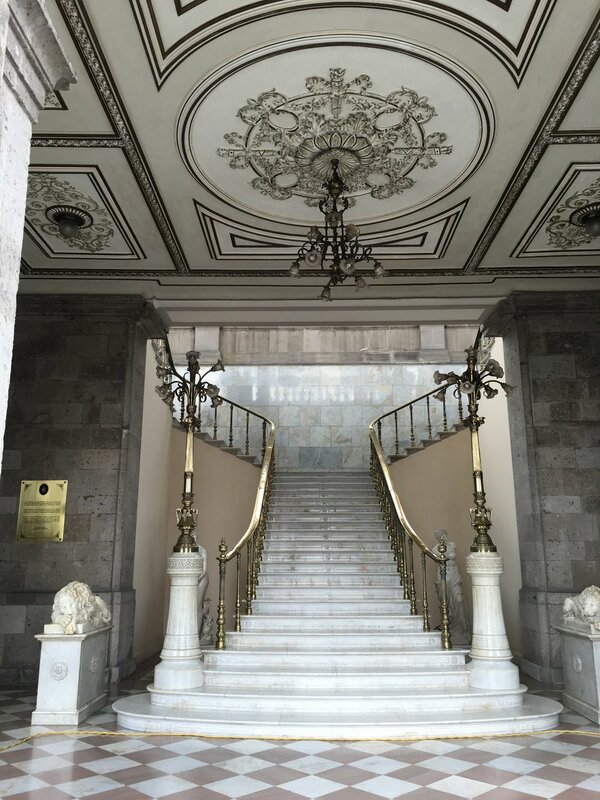 One day we got to go to the symphony at the beautiful Palacio de Bellas Artes. It too, was incredible, lol. I know I keep saying everything was beautiful and gorgeous and magical and amazing, but it's the truth! I'm running out of ways to describe this place, really! haha. Later that night we went out to dinner and drinks at the funnest little bar called TanTina in La Condesa. There we had mezcal out of little gourds and a tiny cup of shrimp caldo (super delish!). 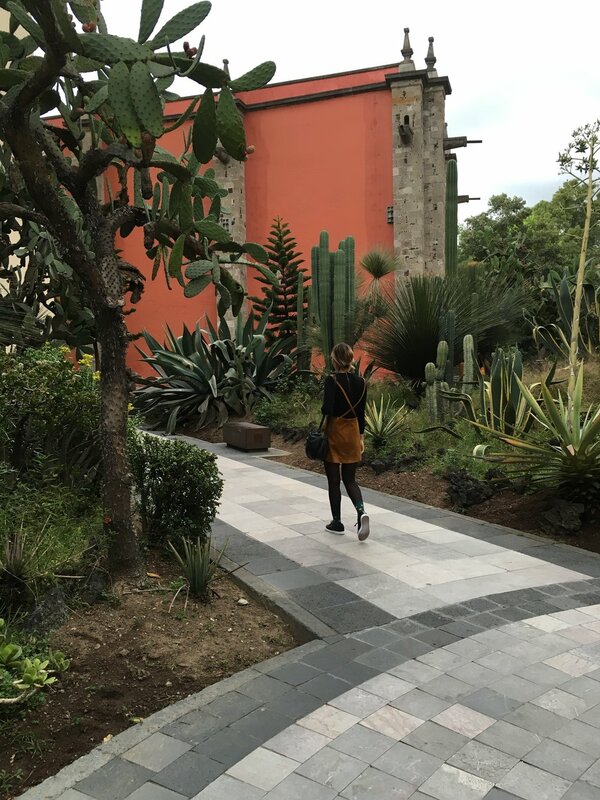 One of my favorite places we got the chance to visit was Frida Kahlo's house in Coyoacan. This was about 30min from the city and if you're a fan of Frida, then it's obviously worth the short drive (the churros stuffed with Lechera were also a BIG yummy plus, hehe). 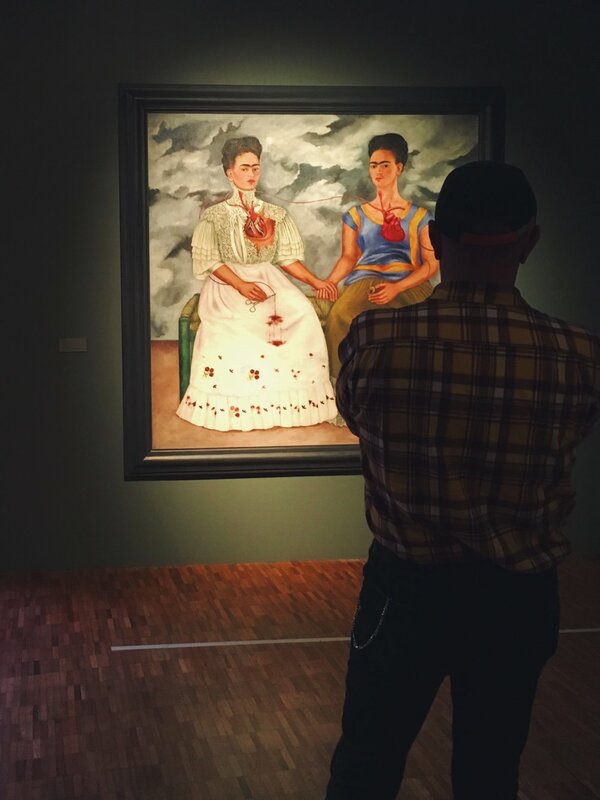 I'm a HUGE Frida fan so it was such a great experience to see her home, painting tools, books, art and dresses. OH! and we went to the cutest little bookshop/cafe. There were SO many adorable places we went to, I really wish I could post ALL of my photos for you to see how many cool and different restaurants/cafes/shops there are. Alright, well there it is. Writing about my trips are always a bit tough because there's so much to talk about (I just realized I didn't even post food pics! lol, i'm telling you kids, there's just too much!) and so many pictures I'd love to post. 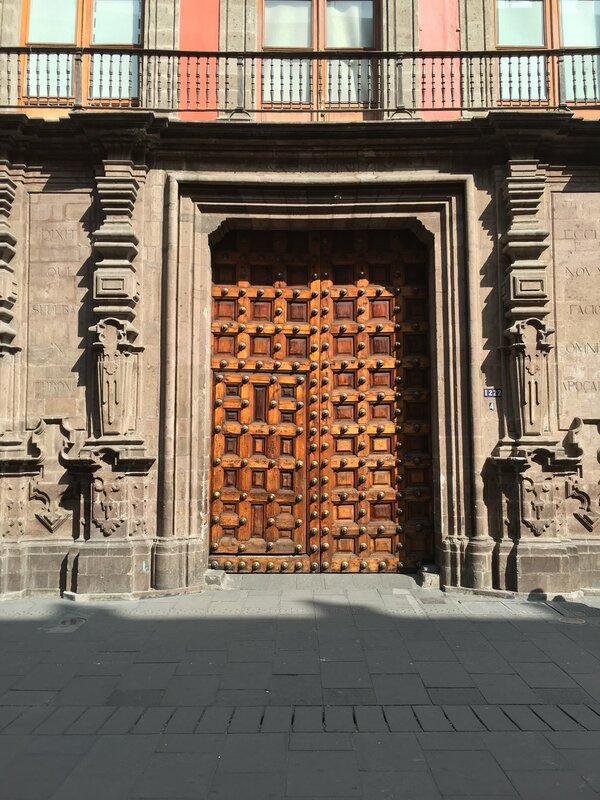 Anyway, if you haven't visited the great city of Mexico, D.F, you should absolutely put it on your places to see. Adios for now, muchachos! Until next time :) !